Jake Miller's new album "Silver Lining" is available at all online music retailers. In 2018 do you even need the help from a major record label? Jake Miller certainly doesn’t. His new personal album “Silver Lining” peaked at number two on iTunes pop chart, following its release on March 9. Not too shabby for an artist who crafted an entire album in his bedroom/studio. “I’ve been in a ‘do it yourself’ mentality since I got off Warner Bros. Records. I’m independent for the first time in a long time and it’s so much fun,” said Miller. Another special attribute to the multi-talented star is not only did he write every song on this new album, but he also came up with the concept and beats for every song on his urban pop-electronic influenced album. “I had never made a beat before 2017, I spent over 10,000 hours on YouTube learning how to create and record beats, mix, and master; you don’t need all this money to get the job done, just a little imagination,” he said. He cites Jon Bellion’s beat-making and John Mayors lyricism as musical inspiration for his own work. Miller’s imagination came in handy when creating the “Silver Lining” album artwork. Days after the album release he shared a behind the scenes photo with his 981,000 Instagram followers how the album artwork was created. Any ideas? Well, the artsy visuals were shot in his kitchen. “I found this dude on social media named Julian, he’s an 18 year old kid from Finland. I asked him if he would be down to make my album cover. So I sent him the album to get a feel of the vibe and explained how I wanted it to look,” Miller explained. He also shared with us how he had to do some strong convincing with the artist, who was in the middle of his college finals week and was too busy to contribute to the project. “Luckily he was on board and because of the time difference between Finland and California, I would get woken up at 4 a.m. every night from WhatsApp (which is how we communicated), when he finished the artwork for each song,” he said. Ultimately, all 14 songs on Miller’s new album received artwork treatment. And according to Twitter, Miller’s fans have fallen in love with the vibrant, story-telling art. “The album cover for “Silver Lining” shows a bunch of people floating away. It symbolizes past experiences, bad energy floating away. I’m standing on top of a mountain, watching the negative energy drip away,” explained Miller. He says in the past year he’s learned a lot through his multiple ups and downs in his career and personal life. “It’s been really cool to discover that you don’t need a big machine, just some motivation and dedication from a great team. My passion only grows every day,” said Miller. The musicians next stop? And yes we say musician, because not only does Miller sing and rap, he also plays the piano and guitar. His next stop will be across the country in a 33 date nationwide U.S. heading tour. 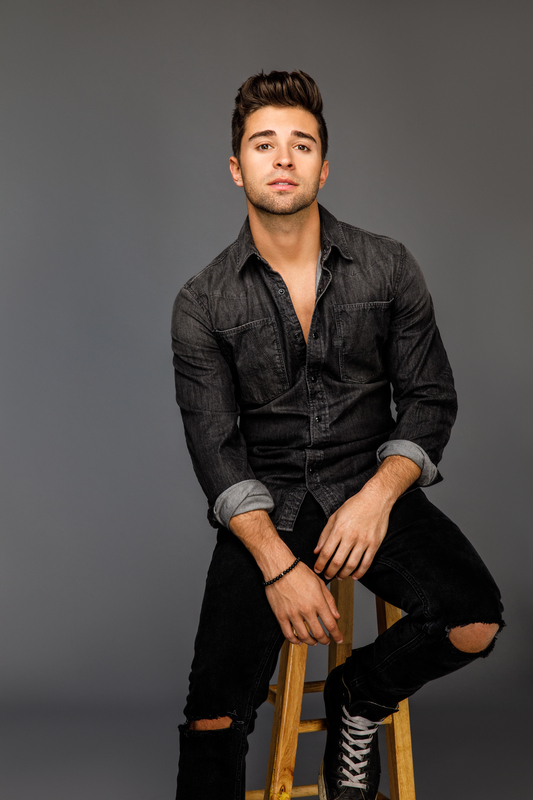 jakemiller.com and at all of the shows,” he explained. The week we interviewed Miller, he had just come back from a trip to Hawaii, where he shot his upcoming music video. “I have a lot of music videos coming out soon. I’m currently working on editing the “Drinking About You” video, it’s my favorite music video I’ve ever done. We shot it in Hawaii,” he said. “Silver Lining” is my favorite album I’ve ever made. The feedback on the album has been amazing,” concluded Miller.